I get a lot of those, or some version of the classic “you could just buy an RV for cheaper” However, now I've learned to just ignore them. Everyone has their own threshold for what kind of amenities they want in their house. Newcomers are initially shocked by the high price per square foot for a tiny house, and while tiny houses are expensive compared to their size, this does not take into account the long term costs of living in a tiny house (very low) vs. some larger structure. However, it is really possible to build an inexpensive tiny house. I'd like to show you three examples of how to build your own tiny house for far less than mine. I think the results speak for themselves! Macy built her tiny house using all her own labor plus mostly recycled and donated materials. 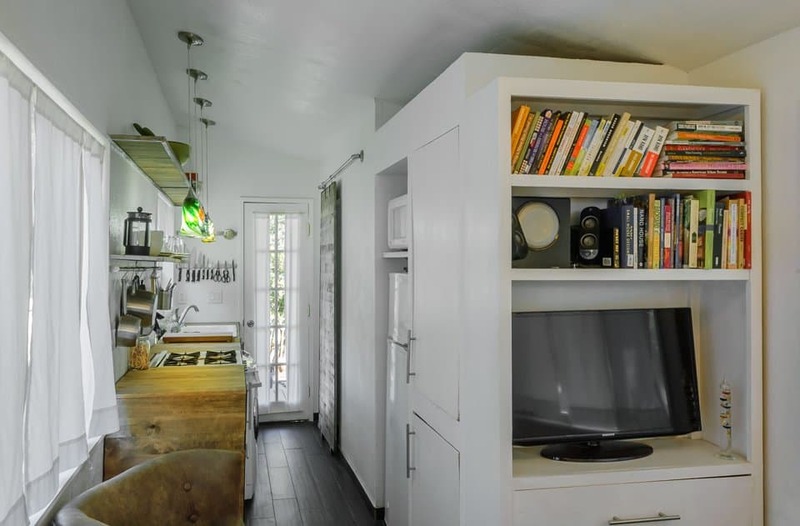 She started with a used trailer, which saves quite a bit of money, and was able to do the entire project for a whopping tiny house budget of $11,416.16. Macy is featured as one of the Tiny House Stories in my resource, Tiny House Decisions. You can even listen in on our 40 minute conversation where we talk about her unique choice in trailer (gooseneck instead of flatbed) and her decision to put radiant flooring in her tiny house. Make sure you check out more photos of Macy's house on her website. 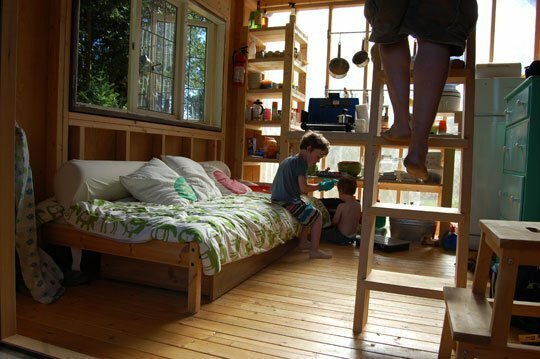 Plus you can gather lots of great ideas from her build about ways to salvage materials and build a tiny house cheap. I'm particularly fond of her siding, which is made from recycled pallets. 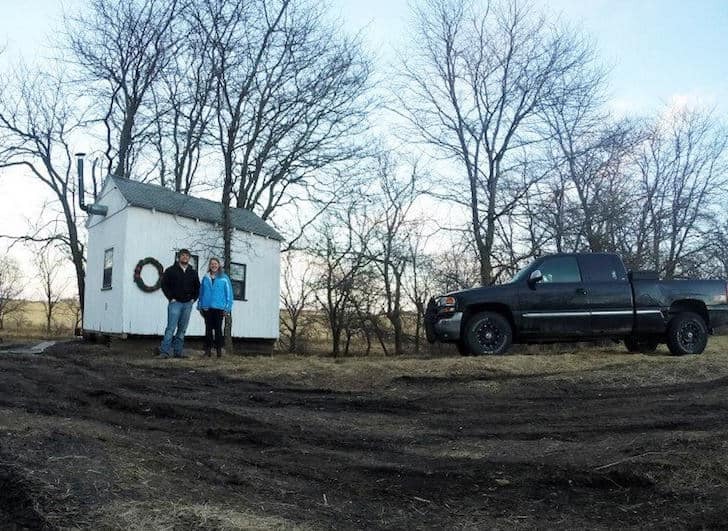 According to this article in the Des Moins Register, these two college students transformed an old farm outbuilding into a $489 tiny house. Half of that budget was spent on plywood for the ceiling, by the way. 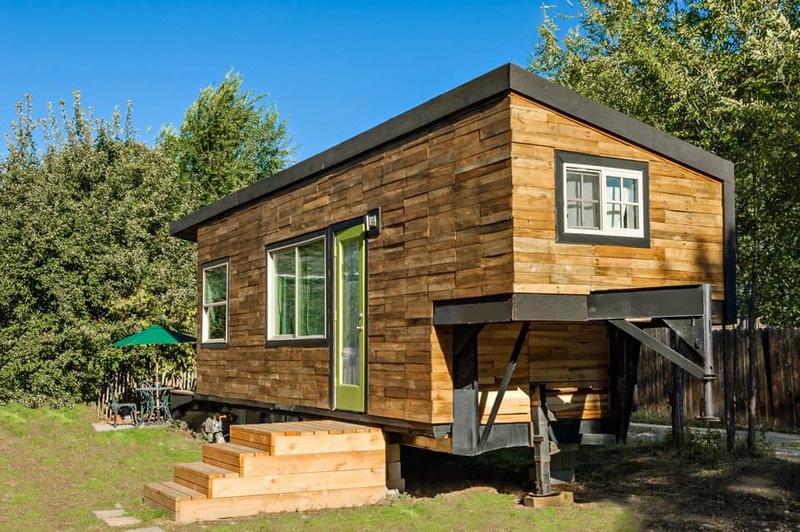 Now, $489 for a tiny house is NOT normal. If you read deeper into the article, the 500 hours of labor necessary to complete the house was done completely by them and other volunteer students. 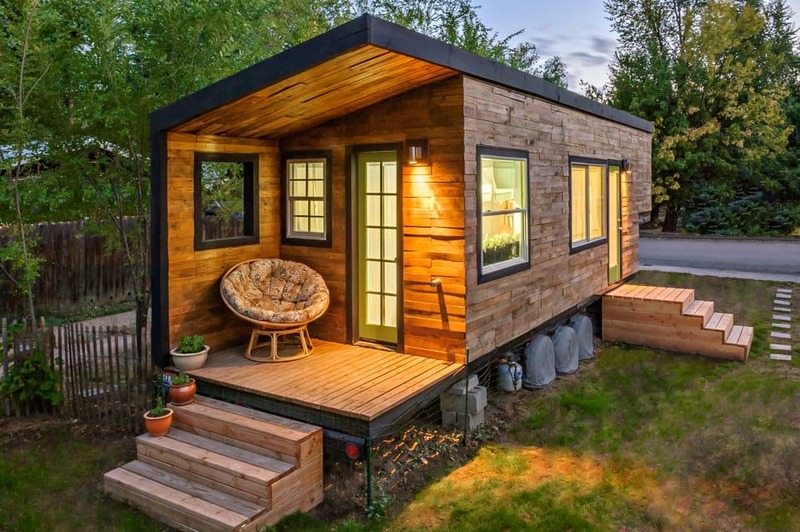 Your tiny house budget will likely be higher. But this is a great example of how to build your own tiny house. Additionally, the house is still missing some basic functionality such as a water source and composting toilet. However, this is a good example of what can be done for very little money if necessary. I saved this example for last because I think it shows a good balance between price and features. While $489 is a bit unreasonable, the following example is impressive when compared to its modest budget. Also, it's amazing that this cabin was built in just 2 weeks! This cabin is not insulated, which means it is only used during the summer (or is in a climate that does not get cold). Contrary to what you might believe, it is not wise to salvage every single piece of your tiny house just to save money. In fact, there are certain materials that I would recommend buying new (such as your trailer) for safety purposes, and for convenience purposes (like framing lumber). I invite you to follow my Pinterest board, Tiny Houses On the Cheap, where I frequently clip and share great examples of how to build your own tiny house, how to build your tiny house on budget, and tiny houses that were completed for far less than they look like they should! 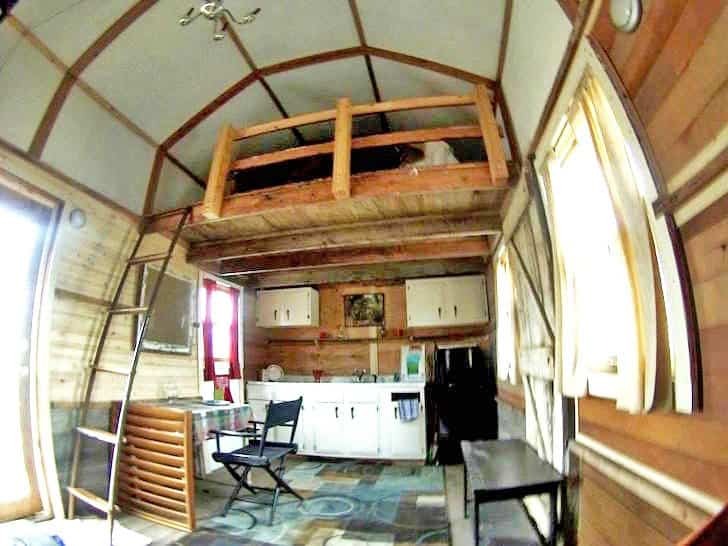 Follow the tiny house's board tiny houses on the cheap on Pinterest. 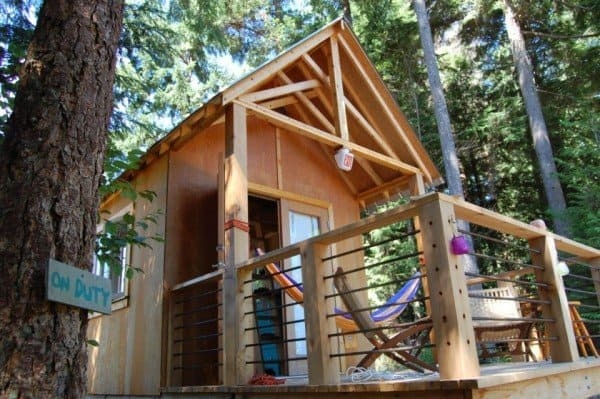 In the comments: What's your tiny house budget, and how did you figure it out?